We predicted the Savute Channel would be incredible this year and…wow…were we right! It was an absolute highlight during a Botswana trip I guided in August. I was with a fantastic family of 6 travelling all the way from Toronto on a 10 night trip through Botswana. The entire trip was a true wildlife extravaganza of which we spent 3 nights on the exciting Savute Channel at the Wilderness Safari’s Savuti Camp. This camp is an absolute stunner on a private 120 000 hectare concession giving us exclusive access to the 120 km long Savute Channel. There is a constant flurry of wildlife activity to be enjoyed from the decks of the camps and rooms, 24 hours a day. 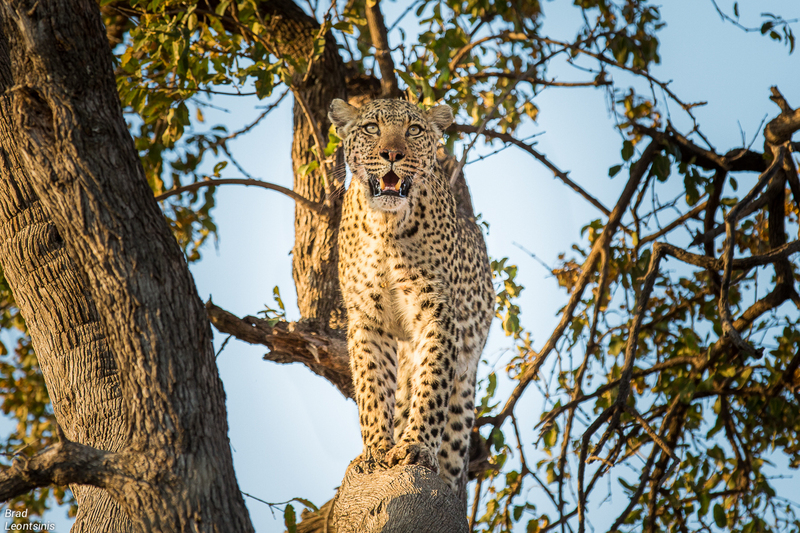 A Leopardess in a tree next to the Linyanti Swamps at the start of the Savute Channel. I’ve had my eye on the Savute ever since the low rainfall began and as predicted in a previous post the channel was a highlight of activity due to the lack of rain throughout the last season. The water has failed to flow through the 120km extent of the channel. 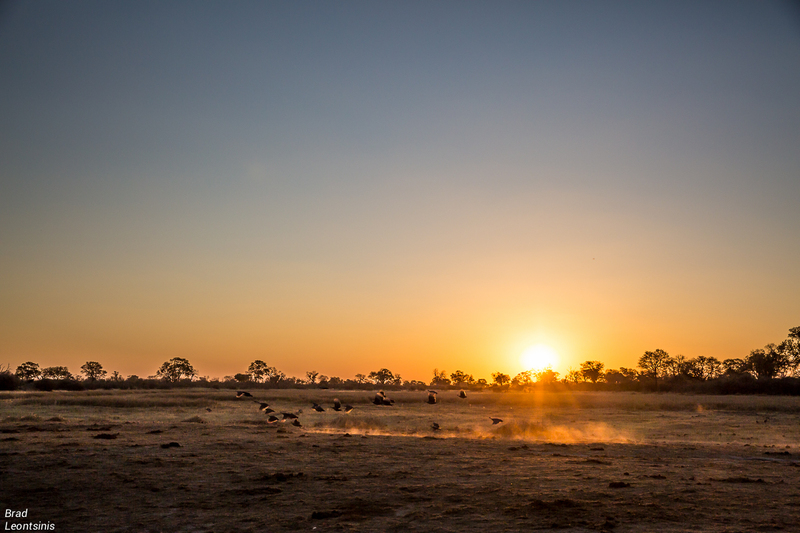 This has resulted in massive herds of wildlife concentrating around areas where water has managed limited flow near the start of the Savute channel. It has attracted a huge diversity of species and the predators are close behind with action abounding! Enjoy the gallery of images to see just some of the awesome wildlife highlights we experienced while there which included: warring male lions; mating lions; leopard fighting with warthog; rare roan and sable antelope; massive herds of buffalo, elephant, zebra and wildebeest; bush pig and so much more! The log pile hide at the Wilderness Safaris Savuti Camp is simply awesome and a bucket list experience. 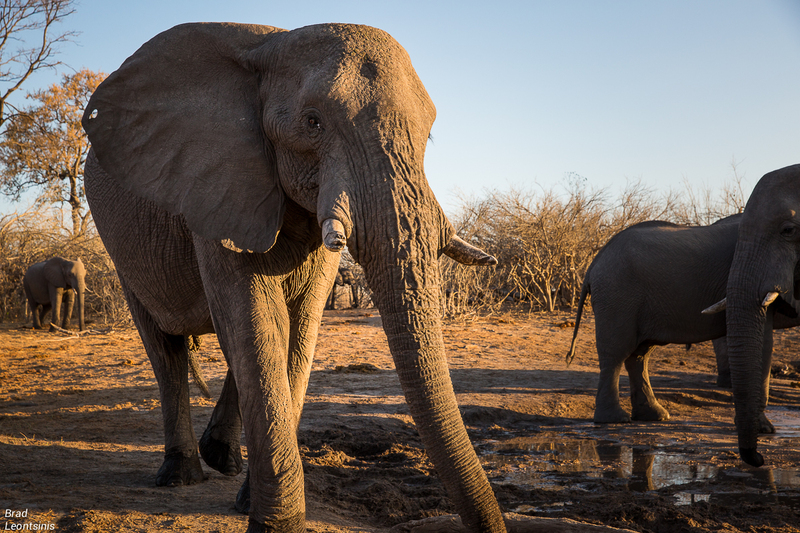 The small waterhole in front of the hide ensures a constant flow of elephants in search of the life giving water flowing from beneath the ground. A hive of activity makes for an intimate and at times adrenalin fuelled encounter from within the stacked logs acting as barrier between humans and giants. It is something, which really needs to be experienced. Arriving in a vehicle at the hide and quietly creeping on foot to the entrance of the log pile under the watchful eye of highly trained rangers is fantastically exciting. The completely wild elephants notice the arrival of the humans on their best behaviour, with a keen level of curiosity. The elephant’s mood also seems to improve compared with the noisy pushing and shoving which was going on just prior to our arrival. After a brief period of calm from the elephants already present at the bush bar, more thirsty patrons start to wonder into the temporary oasis in the dry landscape. It was not long before the trumpeting, shoving and activity starts again. To witness the social dynamics of these fascinating creatures arriving and leaving the sought after water point is a fascinating privilege. As some of the elephants have their full of water they start to wonder off and often amble right up to the stacked logs guarding the curios group of onlookers staring right back at them. A calm level of acknowledgement and peace exists creating an awe-inspiring energy amongst the lucky visitors to the Savuti Elephant Bar. 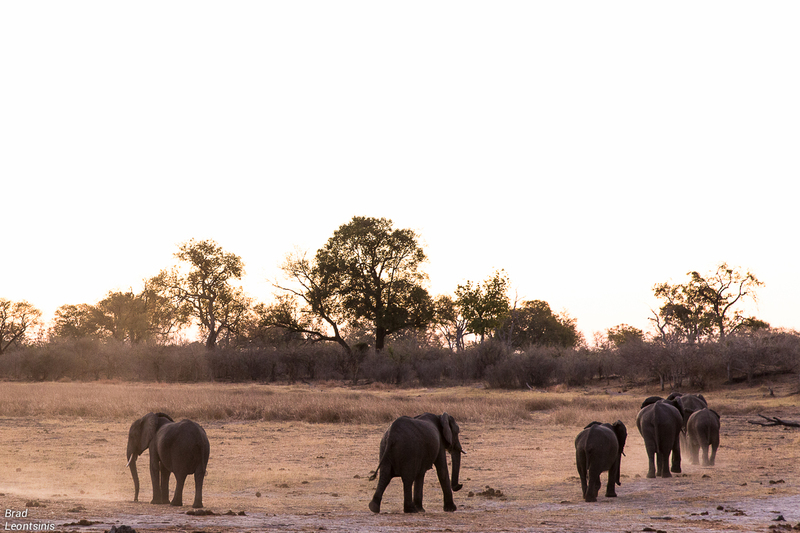 The gentle giants quietly wonder off into the fading light as we humans are left appreciating the sunset and sipping on cocktails, reflecting on the magic of this once in a lifetime encounter. A large hippo came wondering down the channel from the deeper Linyanti Swamps at the source of the channel. A lioness Surveys her domain from the raised ground of a termite mound. We were extremely fortunate to have several great sightings of one of the rarest antelopes which remain, Roan Antelope. One of the more impressive buffalo I have seen. He is still young so his horns can only get better. 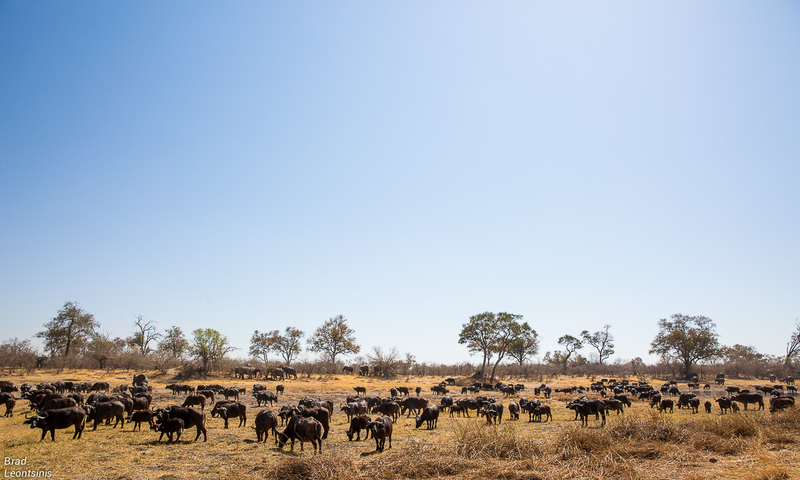 A beautiful scene on the Linyanti Swamps with a rare sighting of the elusive Bushpig amongst some Red Lechwe. A warthog pushes its luck as it's curiosity gets the better of it around this small female leopard with an impala carcass. The leopard states in no uncertain terms that she is not to be messed with. Zebra abound along the channel. 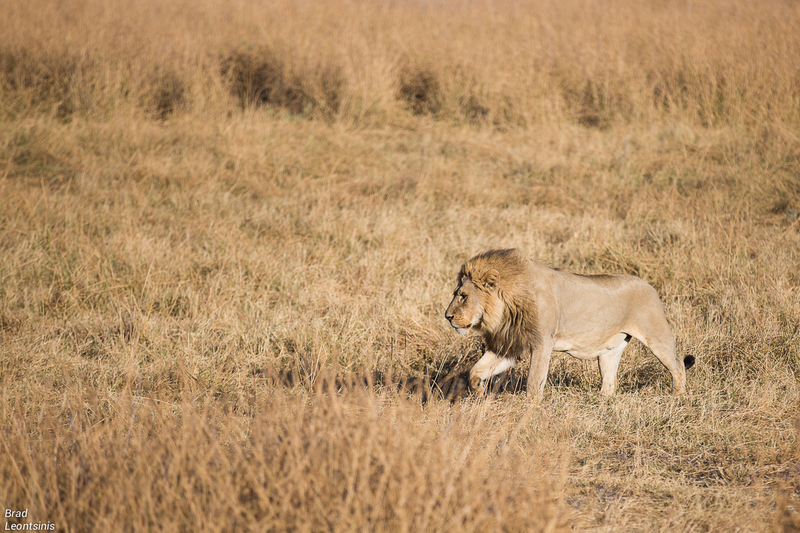 The lions of Botswana are large and impressive. A Blacksmith Lapwing low level flight. Leopard sightings near the source of the channel are outstanding! The channel has not managed much flow this year. The reason for such large concentrations of wildlife. A handsome couple treated us to some incredible sightings. 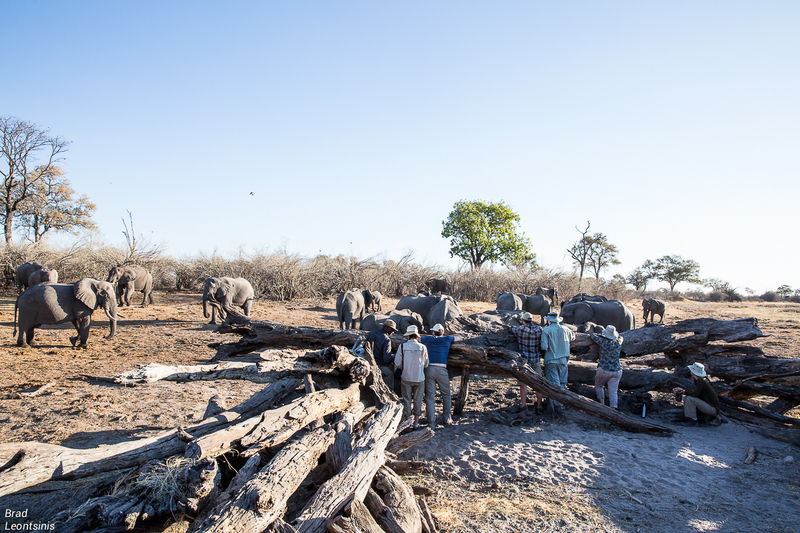 The logpile hide at Savutu camp is a phenomenal way to have intimate elephant encounters. 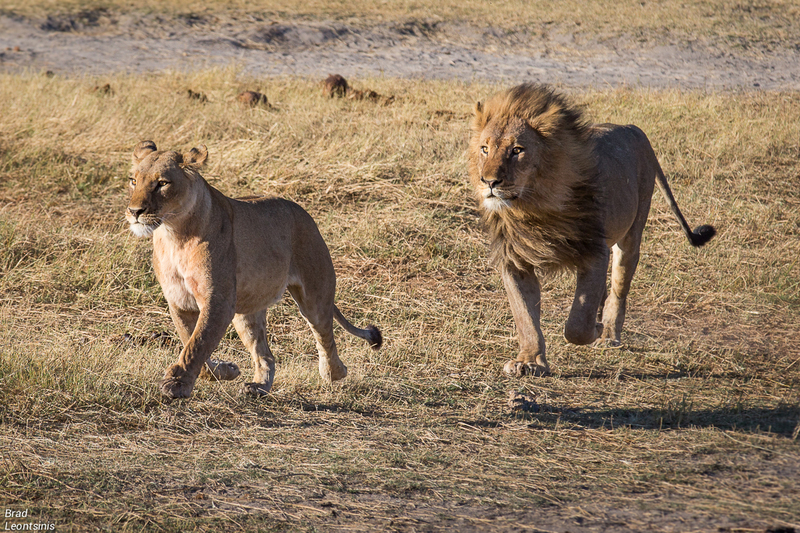 A lioness swipes at a male lion.